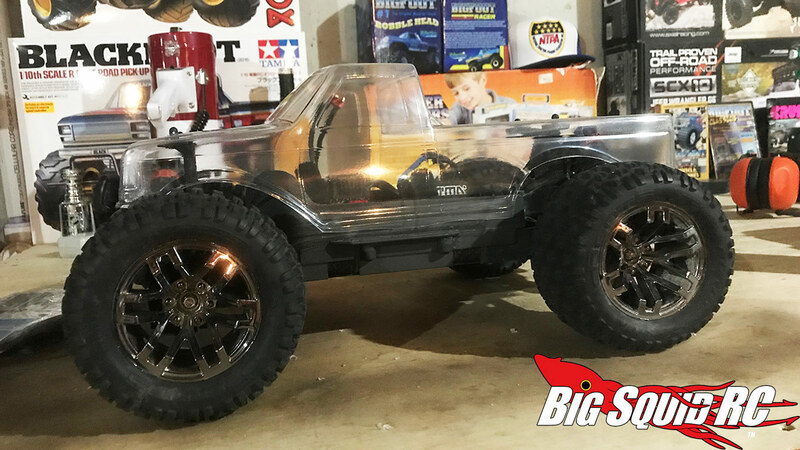 Monster Truck Madness – Granite 3S BLX 4×4 Post-Review Discussion & Plans « Big Squid RC – RC Car and Truck News, Reviews, Videos, and More! 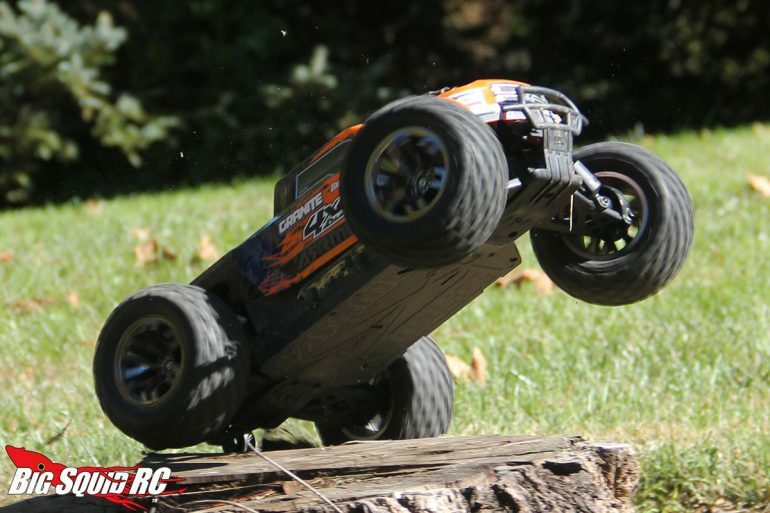 With our review of the ARRMA Granite 3S BLX 4×4 1/10 RTR now behind us, I wanted to take part in a little post-review discussion as well as go over my immediate plans for the truck. Oh, and if you haven’t read the review that I wrote, you can find it right here. I’ve been helping with vehicle reviews around here for just over 5 years now, and the Granite is near the top of my list as far as how much fun I had during said review. It’s just so much fun out of the box. It’s really fast, really tough and handles decent. At the price point of $299, it’s really hard to be displeased with much that it offers. That said, I’m a diehard old-skool monster truck fan so that new-fangled stock pickup body just has to go. And yeah, if I’m gonna do the body I may as well put some period appropriate rubber underneath it, right? 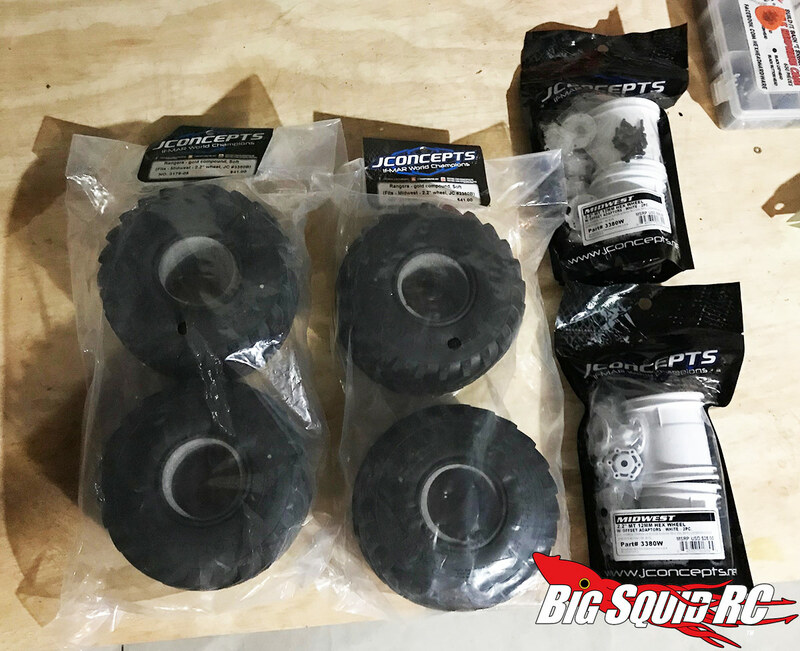 As soon as I got shipping notification on the ARRMA, I immediately went out and purchased several JConcepts goodies to help achieve the look I wanted. As you can see here, I went with a JConcepts ’89 Ford F250 body that is designed for the Traxxas Stampede. If you trim the bumper off the front, it fits the Granite great. While I don’t have the body painted yet, here’s what it looks like sitting on top. For tires and wheels I picked up the JConcepts Ranger Tires (gold compound) and Midwest Wheels. This will give it that really old timey monster truck look. I got them in white, but I may dye them depending on the final paint scheme I go with. Now, I wanted to show you what the tires looked like mounted up, but that’s not going to happen because I didn’t pay attention to the fact that the ARRMA has 14mm hexes versus the standard 12mm that the Midwests are designed for. Don’t worry though, as I have found a solution to get them to fit. I’ll share that info when I do the actual reveal article after finishing the body. Until then, keep it on all fours!